In the summer of 1997, I started secondary school and so did Harry Potter. Potter obsessives will tell you that Harry James Potter was born on July 31, 1980, orphaned on Hallowe’en 1981, and arrived at Hogwarts School in the late summer of 1991 (certainly, the frazzled Muggle prime minister who makes a cameo a few years later is in the hapless Major mould). In our universe, however, Harry first made his mark with the publication of Harry Potter and the Philosopher’s Stone, in June 1997. By September, I could recite every line of the book. I still can, give or take a few Quidditch scores. Why did my generation love Harry so much? 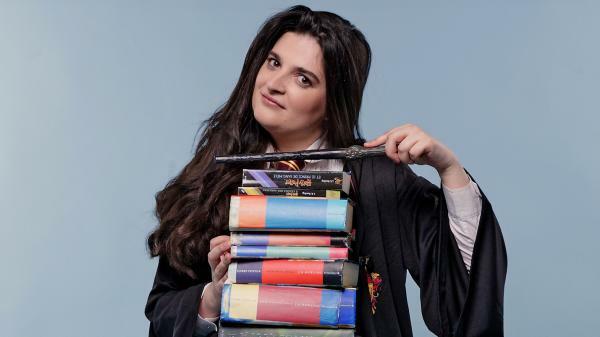 Why has interviewing the team behind the two-part stage play Harry Potter and the Cursed Child reduced me from a hard-nosed theatre critic and academic to a skittish teen? My instinct is to be sceptical when big commercial franchises hit theatreland, but once full-price shows start in six weeks’ time, my friends and I will make the pilgrimage to the Palace Theatre in Soho, not once but twice, stumping up for each half of the latest JK Rowling cash cow. Why? In part, it’s because we grew up with him. For those first four summers, until writer’s block and enormous franchise expansion slowed Rowling’s pace, we headed into each new school year with another of Harry’s school adventures to guide us. Yet if Rowling captured the moral imagination of millennials (primarily, those born in the 1980s like me) perhaps it’s because Harry Potter speaks to our generation’s political obsession: identity. The genetic markers for magic are mysterious; what’s clear is that many of Harry’s fellow students at Hogwarts were born to wizarding parents, but others have been talent-spotted from the oblivious non-magical community who live alongside them, “Muggles”. Some of the former, unsurprisingly, despise the children of Muggles: “I really don’t think they should let the other sort in, do you? They’re just not the same, they’ve never been brought up to know our ways,” says “pure-blood” bully Draco Malfoy when he meets Harry. When Draco later uses the word “mudblood” to refer to Harry’s Muggle-born friend Hermione, her friends react as if he’d uttered the American “n-word”. 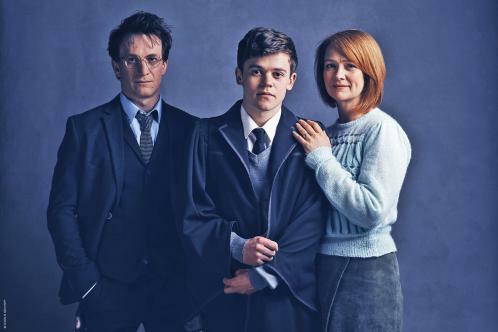 Jamie Parker as grown-up Harry in the play, Poppy Miller as his wife Ginny, and Sam Clemmett as their son, Albus. Millennials are pretty aware that we don’t like racists, but then the conversation around race and identity gets loud and muddled, particularly on university campuses, where self-segregation seems to be re-emerging. Rowling’s anti-racist politics have always offered us a more nuanced model. Her vision of human experience is as an uneasy melting pot of influences, loyalties that sometimes compete and sometimes converge. The characters who face crucial moral choices — heroic Harry, satanic Lord Voldemort, double agent Severus Snape and even Harry’s wise, damaged headmaster, Albus Dumbledore — all turn out to be “half-bloods”, ie the children of parents from magical and non-magical communities. It’s the elements of their heritage that they choose to embrace or to reject that end up defining the future of their universe. To a generation that is four times as likely to be mixed-race as the baby boomers (in both Britain and the US) they offer a compelling set of role models. Melissa Anelli, the webmistress of the Leaky Cauldron fansite, talks about “values” as the unifying feature of Harry Potter’s globally dispersed fans, quoting Rowling herself, who has called the books “a prolonged argument for tolerance, a prolonged plea for an end to bigotry”. 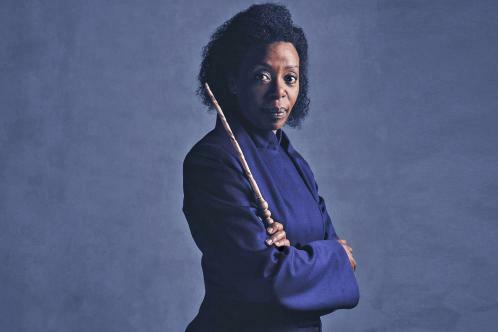 Like me, Anelli was disappointed by the negativity with which some fans reacted to the casting of the black actress Noma Dumezweni as Hermione Granger in Harry Potter and the Cursed Child. It helps that he’s working with a new story. Cursed Child starts the moment the epilogue of Rowling’s final Potter novel ends, as Harry, Hermione and Ron wave their own children off to Hogwarts. This is a new generation’s adventure, though Harry, world-famous hero and middle-aged dad, will feature. 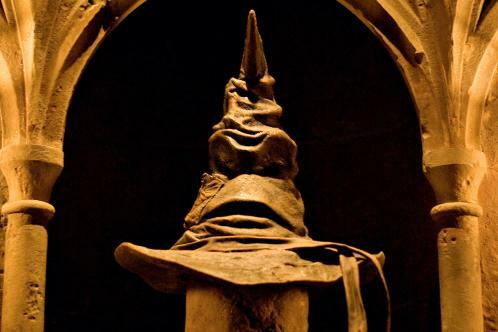 Will the Sorting Hat, from Harry’s first year at school, be getting a redesign? Is she admitting that Albus, Harry and his wife Ginny’s awkward middle child, could be the Cursed Child of the title? Or Scorpius Malfoy, involuntary scion of a long line of dark wizards? All I get in response is a gleeful cackle. Friedman and Tiffany make the case that the Potter books are innately theatrical. The dialogue dazzles and spectacle abounds, but plots are driven primarily by characters telling stories. (Think of the Chaucer-like Tale of the Three Brothers, or Fred and George Weasley’s penchant for revealing gossip.) And let’s hope that Rowling’s wobblier touch for prose — those interminable inner monologues for an angsty teenage Harry, or sub-Roald Dahl depictions of his early life with abusive Muggles), can be quietly effaced in a theatre script. Tiffany’s previous shows, notably Black Watch and Let the Right One In, have relied on the theatrical potential of suggestion (the latter with playwright Jack Thorne, who has written the script for Cursed Child based on Rowling’s story). That bodes well, although some have criticised shows where he has tried to work specifically for children (The Twits, based on Dahl, was recently labelled “tedious” by The Times). Production photos suggest that Cursed Child’s universe is big-budget and about as naturalistic as a show about Nargles and Pygmy Puffs can get. Widely shared reports from the first previews even revealed the use of live owls in the theatre auditorium — one of which went rogue, swooped over the audience, and had to be recaptured during the intermission. This isn’t going to be Peter Brook does Hogwarts. That’s a tantalising, if inscrutable, nugget: is she redesigning the Sorting Hat from Harry’s first year at school, or can we hope to see a replay of the sporting tournaments that dominated The Goblet of Fire? 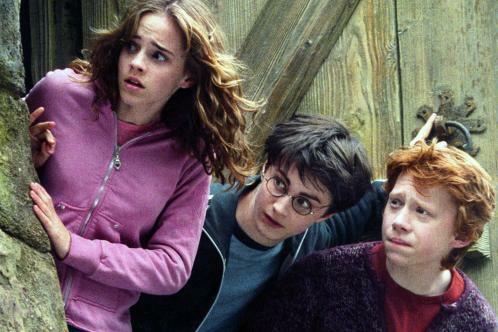 Other fans are betting on a replay of the anthropomorphic adventures of Harry Potter’s father’s generation, detailed in The Prisoner of Azkaban. Can the play succeed critically? The critics won’t deliver their verdicts until press night on July 30. But what will it take for Harry Potter to please both my inner superfan and my outer theatre critic? Less spectacle, more simplicity, perhaps. Lloyd Webber-esque love duets for Ron and Hermione might be a bad sign. Most of all, I’m looking for a story that’s true to JK Rowling’s values. Oral storytelling for the half-blood generation.